Lt. Gen. McMaster's departure does not appear imminent. The White House and Pentagon have been preparing for National Security Adviser H.R. McMaster to move out of his role in the administration and possibly return with a promotion to a job in the military, sources tell ABC News. While Lt. Gen. McMaster's departure does not appear imminent, it has been contemplated for several weeks — a transition expected possibly as soon as this spring, the sources said. “We frequently face rumor and innuendo about senior administration officials. 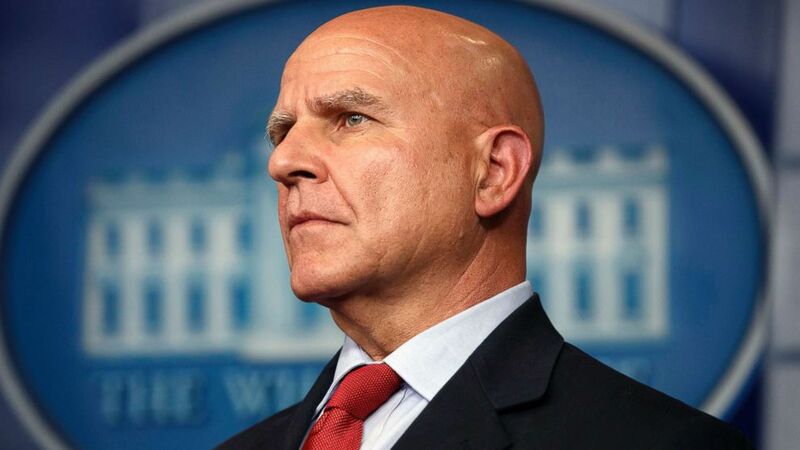 There are no personnel announcements at this time,” deputy White House press secretary Raj Shah told ABC News today when asked about new media reports of McMaster’s coming departure. National Security Council spokesman Michael Anton said in a statement that he met with President Donald Trump and H.R. McMaster in the Oval Office on Thursday afternoon and called reports suggesting an imminent departure "fake news." Trump "told McMaster that he is doing a great job," Anton said. (Evan Vucci/AP) National security adviser H.R. McMaster listens during the daily press briefing at the White House in Washington, July 31, 2017. McMaster was appointed in February 2017 after President Trump fired his first National Security Adviser Lt. Gen. Michael Flynn and faced long-running tension with President Donald Trump in part over his style and disposition in Oval Office briefings. He has also clashed with other top military brass, including Defense Secretary Jim Mattis. The president “still has confidence in General McMaster, I spoke to him specifically about that answer,” White House press secretary Sarah Sanders told reporters last week. The Pentagon has considered giving McMaster a fourth star and new assignment in the military. One post under consideration, sources say, is head of the U.S. Army’s training and doctrine command headquartered in Virginia. 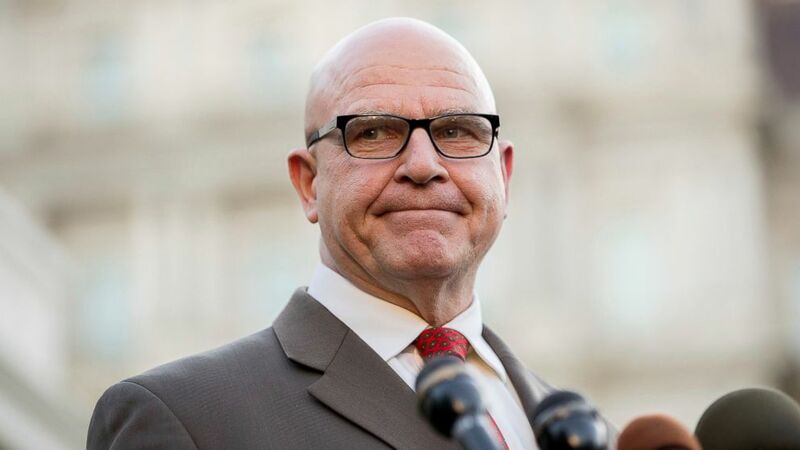 One source close to McMaster also suggested to ABC News he may opt to retire from the military instead after the leaving the White House and pursue an opportunity in the private sector. (Andrew Harnik/AP Photo) National Security Adviser H.R. McMaster pauses while speaking to members of the media outside the West Wing of the White House, May 15, 2017, in Washington, D.C. The president has also begun considering candidates to succeed McMaster as national security adviser, a post which does not require Senate confirmation, the sources told ABC News. Auto industry executive Stephen Biegun, who worked on the National Security Council under Condoleezza Rice during the Bush administration, is a leading candidate to succeed McMaster, officials have told ABC News. Former Bush U.N. Ambassador John Bolton, who met with Trump at the White House late last year, is also in the running for the job. Biegun has no plans to leave Ford Motor Company, his current employer, and has had no conversation with the White House about any positions, a company spokesperson told ABC News in a statement.